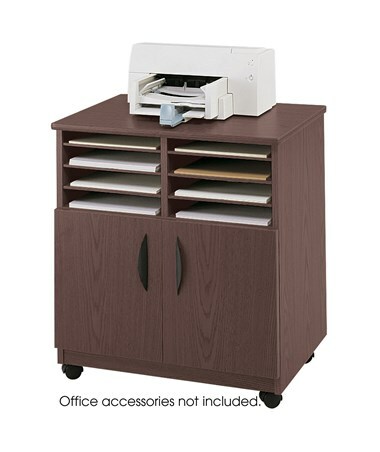 The Safco Mobile Machine Stand with Sorter is a stylish and sturdy cart for storing and organizing appliances and documents in a home and office setup. 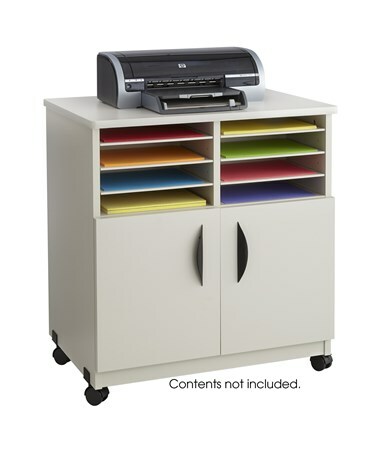 It has a 28 inches wide top surface with a weight capacity of 200 pounds. 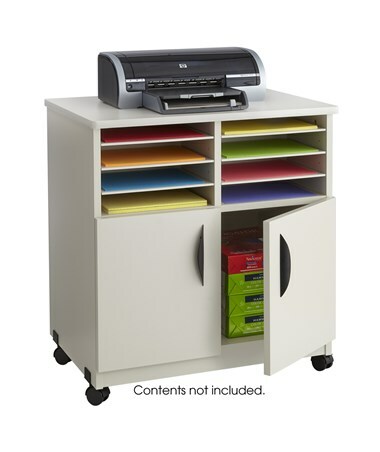 It also upper compartment is a file sorter with six shelves that form eight letter-size compartments. These can also be removed and adjusted in 1 ¼-inch increments. 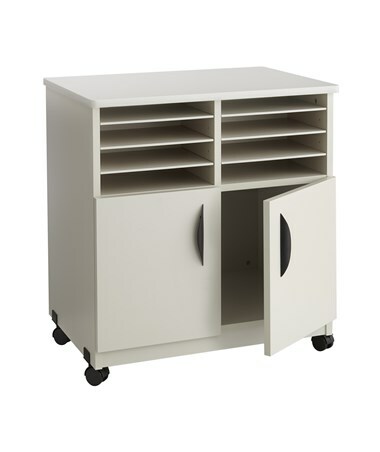 Below is a two-door locking compartment for storing and securing valuables. 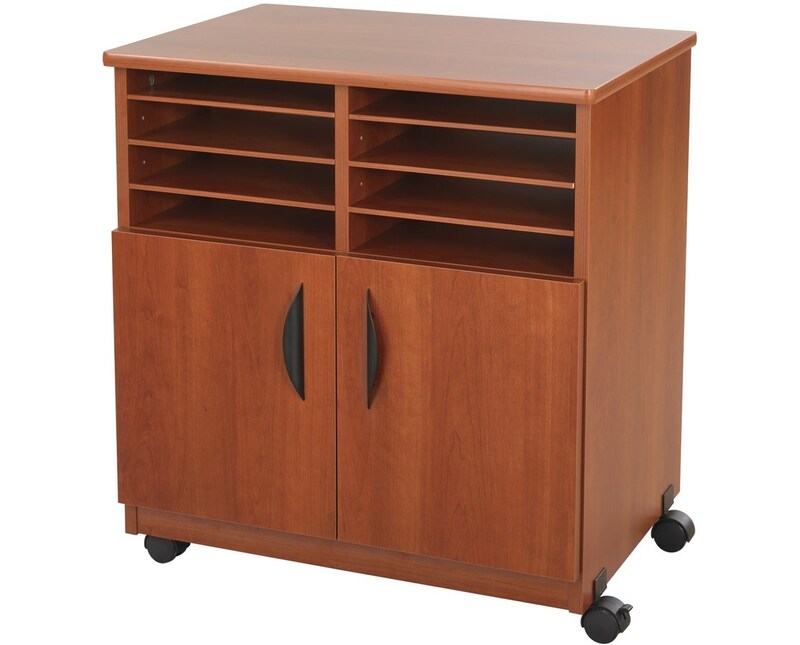 This mobile stand moves smoothly on four two-inch swivel casters, two of which have locking brakes. 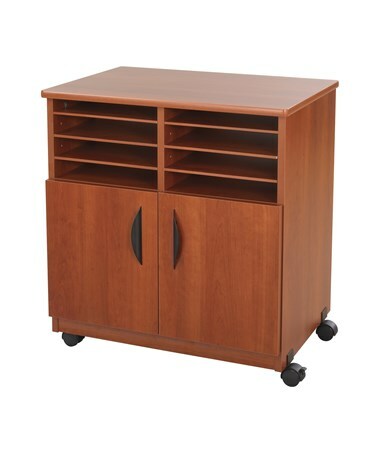 This machine cart is made of furniture grade particleboard with a laminate finish. it also meets the BIFMA industry safety standards. 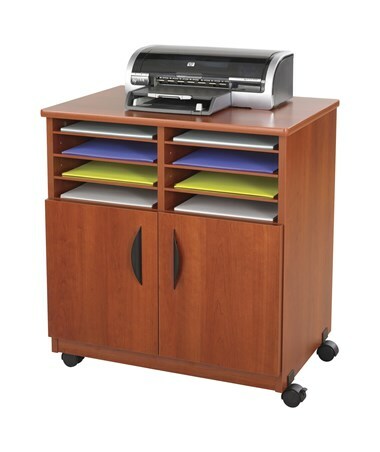 The Safco Mobile Machine Stand with Sorter is available in three different colors. Please select your preference from the drop-down menu above.